What tools exist for creating quantum circuit diagrams and exporting them as images? Preferably one which runs in Windows, or even better one which runs in the web browser. Q-circuit by Bryan Eastin and Steve Flammia. These are tools to make circuit diagrams in TeX for papers and the like, but you can always make your TeX file just the circuit you want and save it as a pdf. Making complex and incredibly long circuits might be a bit of a hassle and would be better done in an automated tool like the one posted by Davide_sd. Hopefully, somebody will be able to list other tools. Master of Science degree project developed by Joanna Patrzyk and Bartłomiej Patrzyk at AGH UST in Cracow. It can simulate designed circuits by generating simulator code in C#. Runs under Windows. Available under GPLv3. IBM Quantum Experience. Its interface runs in web browser. It can run on "real" quantum computer. Available for research purposes only. [...] quantum circuit diagrams [...] even better one which runs in the web browser. Quirk (algassert.com/quirk) runs in browsers and can be used to create simple circuit diagrams. I use it for this purpose all of the time, though it's main purpose is to simulate circuits. Just drag the gates you want into the circuit, perhaps use the simulation results to check that everything is behaving correctly, and then take a screenshot with e.g. Windows' Snipping Tool. Most browsers also have an option to turn a canvas into an image (e.g. in firefox if you right-click on the circuit you can select 'view image' that you can then download and crop). You can bookmark the circuit to come back to it later, in case you make a small mistake. The main downside of this approach is a) it requires manual work every time, b) it produces bitmap images instead of vector images, and c) it is somewhat inflexible (e.g. you can't put operations with different controls into the same column). Here you can just input all the useful gates directly and also completely manipulate the Circuits in a complete GUI interface. 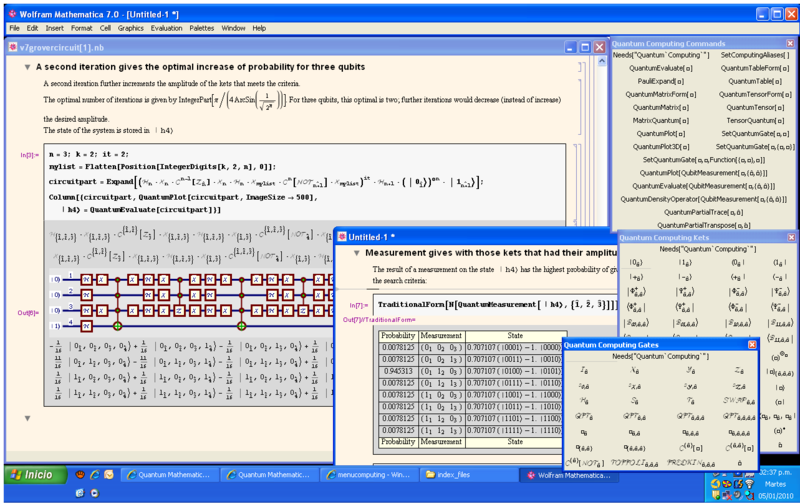 Moreover, you can also perform all the desired operations over qubits. How to re-create the following circuit image?